As an Alpine FusionTV customer, you have a convenient new way to enjoy TV. On the go, on any device! TV Everywhere streams some of your favorite channels and programming — including live TV and full episodes of current TV shows — to your tablet, smartphone, laptop or PC. And it works from anywhere you have an Internet signal: at the office, hotel, airport or vacation home, and everywhere else! Plus, TV Everywhere is included with your FusionTV service! You only need a subscription to the network you want to watch. For example, you must be an ESPN U subscriber (Premier Package) to watch ESPN U’s TV Everywhere programs. 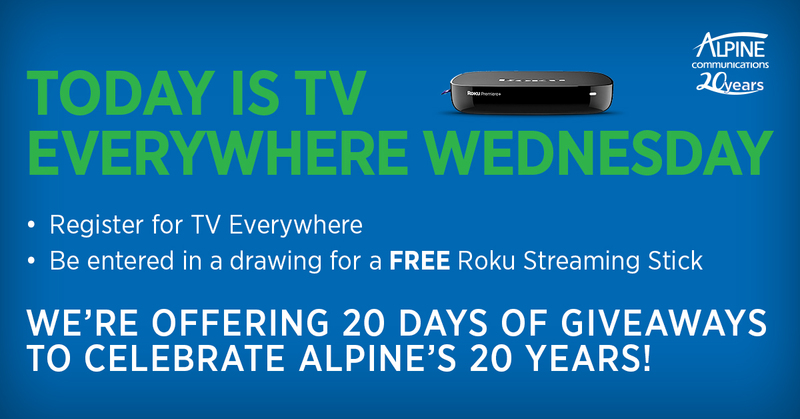 View all TV Everywhere networks available for Alpine FusionTV customers. 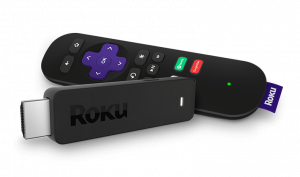 At the end of April, we will draw the Roku Streaming Stick winner from all newly registered TV Everywhere users. Find your Alpine Communications account number. Open www.watchtveverywhere.com and select Alpine Communications from the provider list. Click the REGISTER tab. Complete all the fields on the registration page and click REGISTER at the bottom of the page. Open the email from TV Everywhere and click the activation link. A web page will open and indicate your account is activated. Click the LOG IN tab. Enter your email address and new password. Click the LOGIN button. Select Alpine Communications from the provider list. The Alpine logo will appear in the upper right corner of the web page. You will have different networks to choose from, depending on your FusionTV subscription. Click on the network you want to watch online. You may need to login again with the network. Remember to log out when you are done.